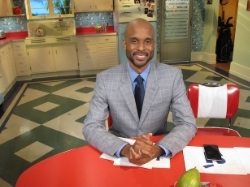 MAXX Client Bomani Jones was recognized by Sports Illustrated in their annual "Sports Illustrated Media Awards: The best and worst of 2014", which was published by SI's Senior Editor, Richard Deitsch on December 19th, 2014. Bomani was named one of the "Studs of the Year," thanks to his reporting on this year's Donald Sterling scandal. Sports Illustrated writes, "ESPN2 Highly Questionable host Bomani Jones first alerted ESPN.com readers to Donald Sterling's housing discrimination nonsense eight years ago, and correctly observed then that too many constituencies (the NBA, the news media) had looked the other way on Sterling for years. The rest of the media finally caught up in 2014." Thanks to SI for taking note of Bomani's successful efforts this year!